We are happy to announce that we have added Walnut Creek Townhomes to our growing portfolio. 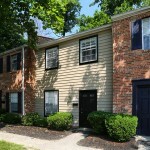 Walnut Creek Townhomes is located in desirable Blue Ash, Ohio. Offering spacious two and three bedroom townhomes with generous landscaping which provide a park-like setting. Each townhome features a private entry, fully equipped kitchens, a dining area, sliding glass doors to an enclosed private patio courtyard. Additionally, all townhomes are equipped with washers and dryers or hook-ups. Close to shopping, dining, and is easily accessible to everyday travel including I-75, I-71, and the Ronald Reagan Highway. Walnut Creek Townhomes is staffed by a professional and dedicated on-site management team and is pet friendly. Come and experience firsthand what our community has to offer.